Kamuzu Day is a public holiday in the Republic of Malawi celebrated on May 14. It honors Hastings Kamuzu Banda, the country's first president who led Malawi to independence and ruled it for more than 30 years. Hastings Kamuzu Banda was born circa March or April 1898. His actual birth date is unknown because there was no birth registration at the time, but during Banda's rule his official birthday was celebrated on May 14. Having graduated from a mission school, he left for Johannesburg where he worked at a mine. In 1925, Banda left for the United States. He graduated from Meharry Medical College in 1937 and then got a second medical degree in Scotland. While practicing medicine in England, Banda got involved in the struggle for the independence of Nyasaland (now Malawi). He returned to Nyasaland in 1958 and began touring the country, speaking against the Federation of Rhodesia and Nyasaland. In 1959, Banda was arrested and imprisoned. He was released from prison in 1960 and soon became de facto Prime Minister of Nyasaland. The title was granted to him officially in 1963. In 1964, Nyasaland gained independence. 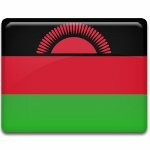 The country's new name “Malawi” was chosen by Banda. In 1966, Banda proclaimed Malawi a republic. He became the first president and ruled the country until 1994.